Our pertinacious (we’re running out of adjectives) Martin Lister Research Fellow – and recent inductee of the Linnean Society – Anna Marie Roos has guest-edited a special issue of the prestigious journal Notes and Records of the Royal Society. The special issue publishes the proceedings of the day conference History Comes to Life: Seventeenth-Century Natural History, Medicine, and the New Science, organized by Anna Marie at The Royal Society in April (with the financial and logistical support of the project, The Royal Society, the Wellcome Trust, the John Fell Fund, and the BSHS). 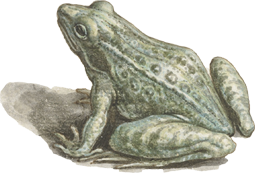 It features six fresh and fascinating articles from leading authorities on a wide range of topics at the intersection of seventeenth-century natural history, medicine, and science, including Buffon and animals, Francis Willughby and insects, and Jan Swammerdam’s abiding intellectual infatuation with frogs and toads. You can now enjoy early access to the articles online; the print version of the special issue will be available at the end of November. You can also listen to the podcasts from the conference. Congratulations to Anna Marie and the rest of the contributors!